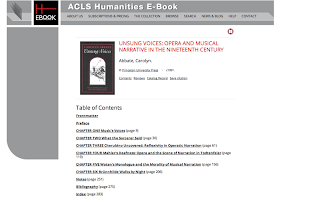 ACLS Humanities E-Book (HEB) is pleased to announce we have just added 327 new titles to our online collection. These titles are automatically available to all subscribers and MARC records may be downloaded for easy integration with library holdings (please see below for instructions). This brings the grand total of titles in the HEB collection to 3,987. A comprehensive downloadable title list, including ISBN numbers and subject headings, can be found here: http://humanitiesebook.org/the-collection/default.html. With this latest release, we are increasing HEB’s offerings in American and European History, Biblical Literature, Film and Media Studies and Legal History, among other areas. Dozens of titles recommended by HEB’s newest contributing societies, the American Academy of Religion, the American Society for Environmental History and the World History Association. Please visit our blog to read more about these collaborations. Twenty-seven volumes from the Littman Library of Jewish Civilization’s ongoing series Polin: Studies in Polish Jewry (recommended for inclusion by the Association for Jewish Studies). More information about this new HEB series is available here. Twenty-six books published by the Medieval Academy of America. Forty-six prize-winning books that have received awards from ACLS’s constituent learned societies. As always, all new additions represent titles of enduring value that have been carefully vetted and recommended by scholars. 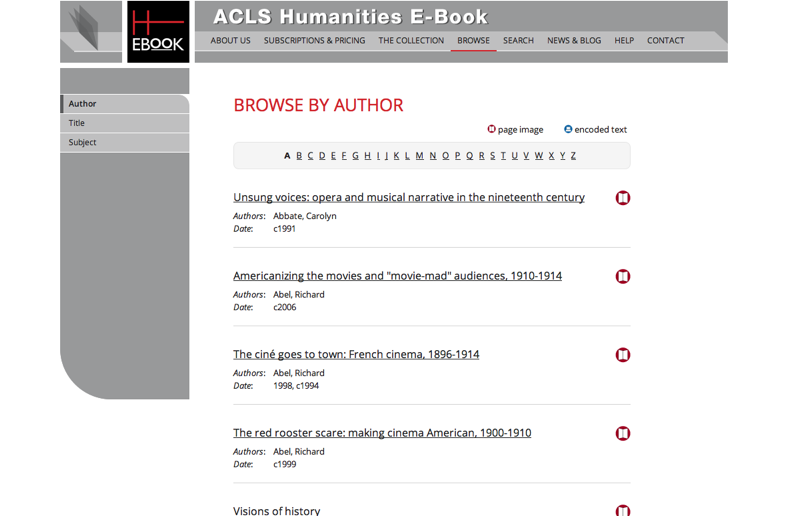 The files are available for download at: http://humanitiesebook.org/help/for-librarians.html#Anchor-MARC-21683. New subscribers or those who have not recently updated their MARC records for the collection should download acls1-10.zip (3,784 records corresponding to the 3,987 in rounds 1-10, online as of August 2013). 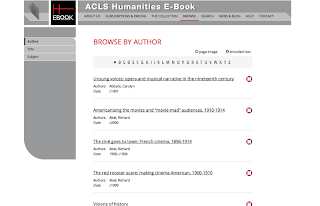 In order to add MARCs only the latest round of titles, please download the file acls10.zip, which includes 322 records for the 327 books added in August 2013. If downloading the new records only, please bear in mind that a number of titles are being removed in this round and that you may wish to manually remove the corresponding MARC records from your library catalog. A list of all titles removed from the collection to date, including the 33 books removed in this round, can be found here: http://humanitiesebook.org/help/for-librarians.html#Anchor-Titles-11113. Records for all HEB titles are also available from WorldCat. ACLS Humanities E-Book has just launched a new collection interface that will offer better navigability, including improvements in accessibility for users with disabilities. The revised interface also features a more integrated design, with a consistent appearance and functionality across the entire HEB website. We hope that this will result in a better user experience for our readers. We're especially pleased to report that most features of the collection now allow for navigation by standard automatic readers and a variety of assistive technologies. The new HEB interface conforms to W3C’s Web Content Accessibility Guidelines (WCAG) 2.0, Conformance Level A, which means that the collection meets all Level A Success Criteria and contains no absolute barriers to access. We will continue to periodically review and make improvements to our web interface in an effort to ensure that all users are able to make the most of our resource.